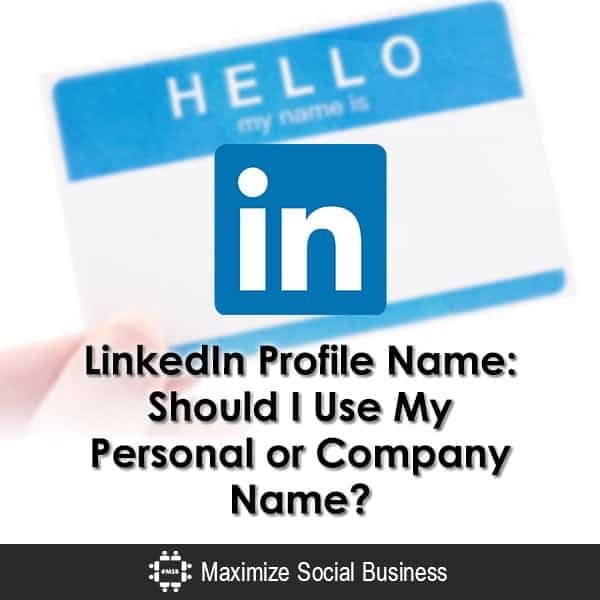 Should I Use My Personal or Company Name on Linkedin? As mentioned, LinkedIn is a network for professionals, not companies. We’re not talking about Hoovers here; instead of being a database of companies, LinkedIn is a database of people. Professionals are connecting with each other, finding each other and creating new relationships, answering questions, providing advice, etc. If your name is a company name, why would I want to connect with you? What value is there from a social networking perspective of connecting with a business? I realize that, as a business, you want to get some free advertising on LinkedIn, but do this in your profile, not in your name. And you will find that people are not necessarily looking for vendors, so an indirect approach (utilizing Q&A and/or Group Discussion Boards with your expertise, etc.) will establish your credibility better than merely sending out advertisements to all of your connections. In general, the more real and genuine you are the more people with trust you. A lot of professionals are still turned off by social networking, and are especially weary of their privacy on social media. If you, with a business name, wants to connect with someone, they might think suspiciously of you. After all, a business name creates a shield and makes you a little invisible. Social networking is all about being transparent and paying it forward, so drop the shield. People buy from people, not companies. Even companies buy from people, because it is the people inside the company making the purchase. 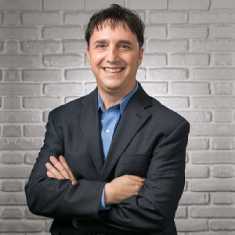 If you want to connect with future customers, connect with them from a personal perspective, in which case you’ll have a much higher potential of winning business from them. My brother, who owns his own wine label, is an example of someone who created a profile using his name (Larry Schaffer) and not his company name (Tercero Wines). As you can see from his profile, he includes enough information on his profile to get you interested in his company without flat-out advertising it. And thus people who would want to connect with Larry would naturally want to know more about his wine label, don’t you think? If you are a business owner and you want to register your company name on LinkedIn, instead of using your company name for your profile name you can simply register your name in the LinkedIn Company Directory, and you can find out how to do so here. In this way, if people are searching for companies with your expertise, you can be found. Hi Neal, thanks for your advice, what about the Logo, is it odd to have your own name but still use your company’s Logo? I believe so – after all, would you go to a networking meeting with your company’s logo covering your face? I thought not! Thanks for clarifying that, now to find a professional photographer! I agree that business is and should be appearing less corporate these days. Thanks for your contribution! I’ve always thought a name was a good idea… business is appearing less corporate these days. Don’t you think?